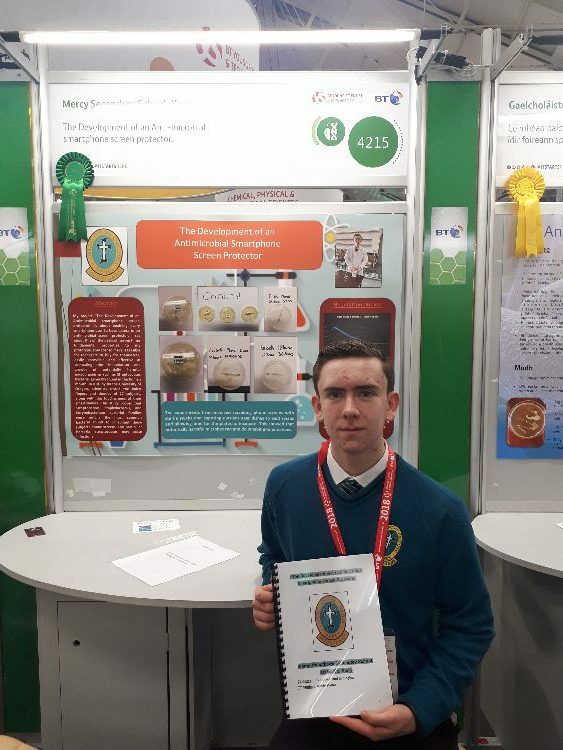 This year was a most successful one for Mercy Mounthawk at the BT Young Scientist Exhibition with four projects selected fo exhibit and 2 of those gaining significant awards. 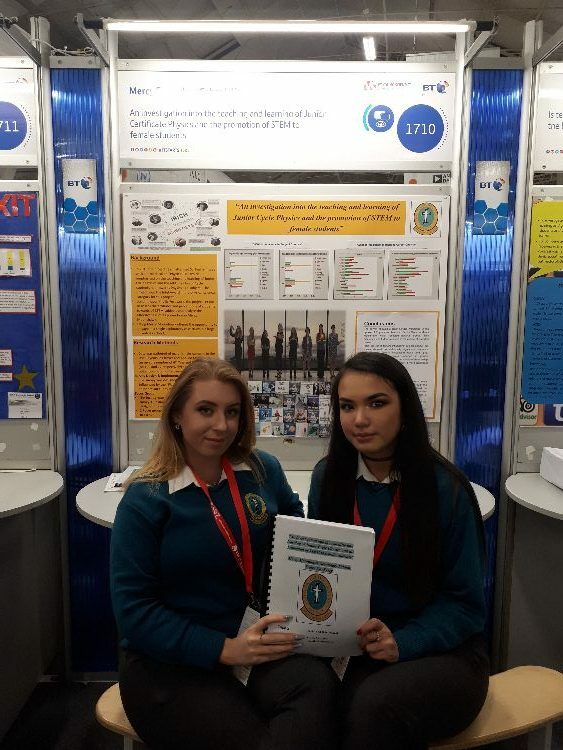 Firstly, Olivia Moriarty and Tamila Khussainova were awarded 3rd place in the Senior Social and Behavioural Science category for their excellent research project: An investigation into the teaching and learning of junior cycle Physics and the promotion of STEM to girls. The girls undertook an extensive look at data in our school and looked at the factors that might influence subject choice for senior cycle. 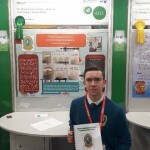 Secondly, Robin Porter won a ‘Highly Commended’ award for his project: The development of an antimicrobial smartphone screen protector. 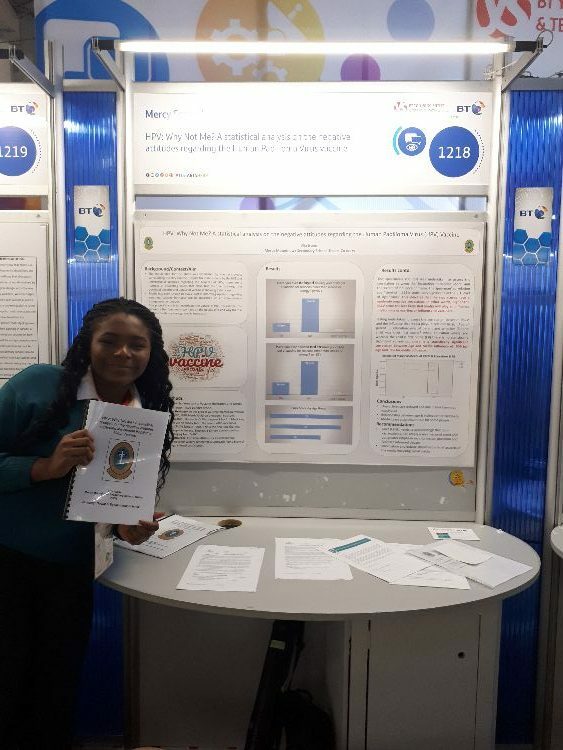 Robin’s work showed that there were very high levels of bacteria present on smartphone screen s posing a heatlth risk to users. His antimicroibal screen protector reduced the amount of bacteria considerably. 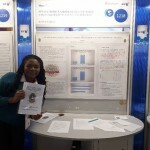 Ella Itsede entered a project entitled HPV: Why Not Me? 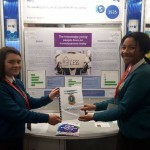 A statistical analysis on the negative attitudes regarding the Human Papilloma Virus Vaccine.This piece of work had an impressively detailed statistical analysis on the reasons parents did or did not take up the vaccine for their children. 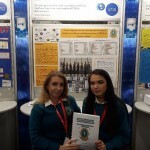 Jessica Oke Cotter and Ciara Murphy undertook a study on the very topical issue of homelessness entitled:The Knowledge Young Adults have on Homelessness today. 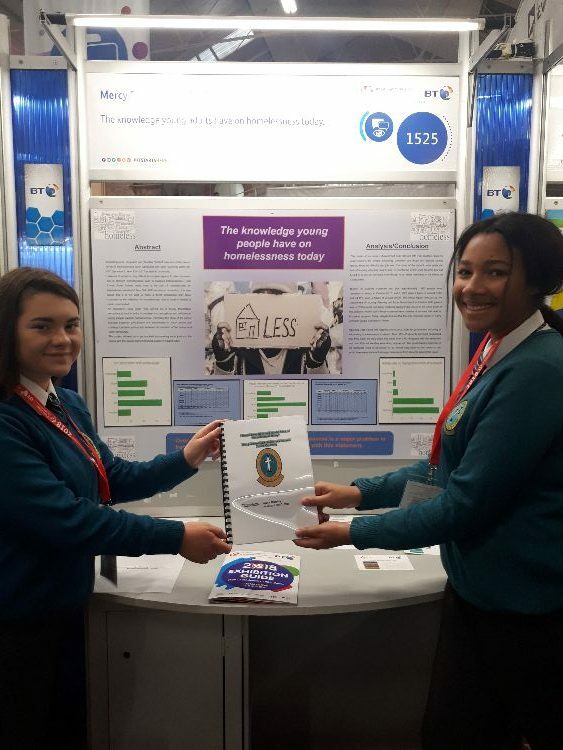 Their survey showed that there was considerable awareness among young people of the issues around homelessness. Well done to all our teams and a special congratulations to the award winners and their dedicated teachers Ms Jemma Lynch and Ms Eimear Nolan.